Gone are the days where the iPhone was only available directly from Apple or from AT&T. Today, it’s carried by all major carriers and big retailers, and many of them want to entice you to buy with them by offering special deals. Of course, you can always buy from Apple directly, either in-store or online. If you haven’t yet put in your order for an iPhone Xs or Xs Max, here’s a summary of some of the deals and promotions offered by different retailers to help you make up your mind. For each, we’ll tell you about any current special deals, when you should consider buying there, and when you shouldn’t. Apple’s not running any iPhone Xs promotions right now. 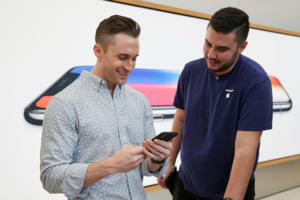 However, it is one of the few places to buy an unlocked, SIM-free iPhone Xs or Xs Max, and it’s the go-to place to join the iPhone Upgrade Program. The delivery date estimates at Apple’s store seem to be a little bit better than carriers right now, too, so your pre-order might arrive a little sooner. If you really want to kick the tires on a new Apple product, a trip to the Apple Store is probably the best way to do it. If you have a lot of questions or need help with setup, Apple Store employees are generally going to be helpful, accurate, and patient, without pressuring you to buy stuff. If you want to buy your phone with the iPhone Upgrade Program, you’ll have to do it at the Apple Store or in the Apple Store iOS app. If you always want the latest iPhone every year, the iPhone Upgrade Program is a pretty good deal. You pay off your iPhone in 24 monthly installments, but can swap it in for a new iPhone after 12 months (thus renewing the 24-month contract). You get Apple Care+ included, too. It’s one of the few places you can get your iPhone Xs or Xs Max SIM-free and unlocked. If you plan to switch carriers, buying directly from the carrier can be a better bargain—many carriers offer nice incentives to switch over. From time to time, carriers may offer deals (“buy one get one free” or other rebates), though those usually require some sort of long-term commitment. The best carrier deals tend to be for new line activations and transfers, though. The iPhone Xs and Xs Max do not yet appear to be available from Amazon at all yet. Amazon rarely has deals on the latest iPhone models, but it can be a good place to score a deal on an older certified refurbished model. You’re almost never buying directly from Amazon, but rather through a reseller. And most of the iPhones you’ll find on Amazon are certified refurbished, which isn’t a bad thing, but it’s not the place to go if you’re looking for a brand new model. AT&T is running an offer where, if you buy an iPhone Xs, you can get a second one at a $700 discount. That means your first iPhone Xs would cost $999, the second one just $299. The deal is actually good for the iPhone 8, 8 Plus, X, Xs, and Xs Max. as long as both of the phones you purchase carry a regular price of $600 or more. 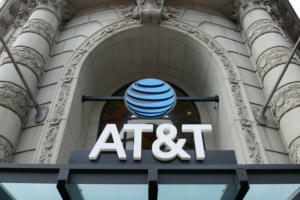 If you’re already an happy AT&T customer, or if you don’t mind being saddled to the company for a couple years, you might as well buy directly from the carrier. Just know that the deals are typically designed to get you really attached to the carrier. They want you to get on the AT&T Next program where you buy your phone in installments over the course of a couple years, and most are designed to give you a deal on a second phone. If you just want to buy one phone, or if you want the freedom to hop to different carriers at a whim, buying your iPhone Xs or Xs Max directly from AT&T is not your best option. There’s a bunch of fine print to consider on the current deal. Specifically, both of the phones have to carry a minimum price of $600—buy any two and AT&T knocks $700 off the lowest-priced one. But you have to buy them on the AT&T Next (a 30 month leasing program) or AT&T Next Every Year (a more expensive 24-month lease with yearly upgrades). At signing, you have to pay tax on the full retail price (not the $700 discounted price). If you cancel service on either phone you owe the balance of payments on it, and there’s a $30 activation/upgrade fee. Best Buy will give you a Best Buy gift card worth up to $275 if you bring your current iPhone (iPhone 7 or newer only!) to a Best Buy store and trade it in when you purchase an iPhone Xs or Xs Max. You still get the trade-in value as well. That offer is only good in stores. 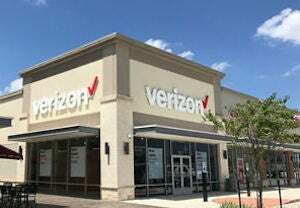 Best Buy also lets you take advantage of Verizon’s “buy one get one for $700 off” deal, and Sprint’s complicated offer that gives new customers a big credit toward their monthly installment payments if they trade in their current phone. Those require activation on Verizon/Sprint, respectively, and enrollment in their respective monthly payment plans. Best Buy iPhone deals tend to come in two forms: A decent-sized gift card (useful only if you plan to buy more stuff from Best Buy) or a discount on buying a new phone with activation of a new line, paid in monthly installments. It’s not dissimilar to buying from a carrier, and only worthwhile if you don’t mind a long-term commitment. 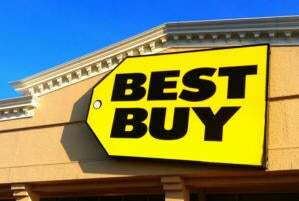 If you are thinking of purchasing through Best Buy, be sure to compare its discounts with other big-box retailers and the major carriers. The best deal can vary depending on when you look. If you want to just pay the full price for an unactivated, unlocked iPhone, you shouldn’t do it here. Best Buy used to be one of the very few retailers who would sell you a SIM-free phone, but you now have to sign up with Verizon, AT&T, or Sprint. If you’re a T-Mobile customer, Best Buy is not the retailer for you. Buying a phone directly from a fellow consumer (be it a used or new-in-box option) can always be a bit of a risk. But you can also save plenty of money if you’re willing to be patient and negotiate on price. Just be careful. Only buy from qualified sellers with lots of positive feedback, or from someone local so you can go inspect the phone and make sure it works properly and is in the promised condition before handing over a single penny. On a just-released phone like the iPhone Xs or Xs Max, you’re not likely to find a good deal when buying directly from another consumer. In fact, you’ll probably pay more, especially if the model you want is in short supply. But if every store is out of stock and delivery won’t be for another three weeks, and you just have to have that particular model right now, this may be your only option. 1. You don’t want the newest hottest model and aren’t in a rush to buy, so you can take your time finding a good deal on the phone you want in great condition. 2. You do want the newest hottest model, the one that’s totally out of stock everywhere, and you just have to have it now even if it means paying an inflated price. If you want the latest iPhone and it hasn’t been on the market for six months, you’re not likely to find a good deal. You’ll spend a lot of time trying to find one that isn’t scratched, chipped, or cracked. And then, on top of all that, you have to worry about getting ripped off. Sprint will give you a maximum credit of up to $41.67 toward your monthly payments on Sprint Flex if you trade in your old phone. That’s enough to make your monthly payments totally free for a 64GB iPhone Xs and only $4.17 for a 64GB iPhone Xs Max. Sprint’s deal can get you into an iPhone Xs or Xs Max for very little money, if you’re willing to trade in a relatively recent phone (iPhones or select Android phones). You’ll want to check their site or stop into a Sprint store for the full breakdown. It’s a pretty good deal if you are willing to be locked in to Sprint for at least 18 months, and you don’t mind leasing your phone instead of buying it. The deals are better for new customers or those adding new lines. You can still get a discount if you’re an existing customer upgrading your phone, but the deals aren’t quite as good. 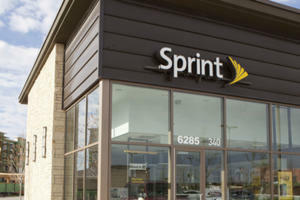 Sprint’s deal requires trading in a phone you own, and it’s better for new customers than existing customers. Perhaps most importantly, it requires leasing your new iPhone Xs on the Sprint Flex plan. That’s an 18-month lease that allows you to trade in your phone for a new one (and renew the lease) after 12 payments. After the 18 months are up, you don’t own your phone. You can either turn it in to Sprint and get a new one with a new lease period, or pay the difference in price between your lease payments and the phone’s full price to own it. You can pay that outright or divide it into six more monthly installments, which makes Sprint Flex very similar to other two-year purchase installment plans. As with most phone lease programs, that’s not necessarily a good deal. In 18 months, the full retail price of an iPhone Xs or Xs Max will have dropped considerably, but your buy-out purchase price will be based on today’s new prices. As a person-to-person sales market, deals on Swappa vary a lot. Depending on the age and condition of a device, you can pay anything from above retail (on very hard-to-get iPhone models) to hundreds of dollars less. Of course nobody is going to have an iPhone Xs or Xs Max until they ship on September 21st, but if you missed the early-preorder window and you want a phone right away, you can probably buy a new-in-box model direct from a consumer…at a considerable markup. Don’t expect to find any good deals on the iPhone Xs or Xs Max in any person-to-person marketplace until the phone has been available for at least a few months. We like Swappa because it does more to protect buyers: The company reviews every listing to help ensure that the seller isn’t a scammer. It verifies ESN numbers to weed out any that are not fully paid for, listed as stolen, or unavailable for activation. It makes sure that sellers have reset the device and disabled iCloud so it can be set up as a new user. And it requires verification photos to prove ownership and verify condition. Is it fool-proof? No, but sellers on Swappa have to jump through just enough hoops to keep most of the scammers at bay. If you’re buying a phone from a random person on the Internet, that’s a big deal. No matter how diligent Swappa is about eliminating scammers and fraud, you’re still buying a phone directly from another human over the Internet using a PayPal account. You can save a lot of money, but there are always things that can go wrong—and you don’t have the same recourse as if you bought from a major retailer or carrier. T-Mobile will give you a credit of up to $300 if you trade in your old iPhone for a new one, purchased on T-Mobiles 24-month installment plan. iPhone 7 or newer phones in good condition are worth $300, the iPhone 6S or 6S Plus is worth $200, and all earlier iPhones are worth $100. There aren’t quite as many gotchas and tricks hiding in this deal as with other carriers. It doesn’t require adding a new line and it doesn’t require you to buy two phones. Still, it’s only really of value to those who wish to remain a T-Mobile customer for a couple years, since it requires enrollment in a monthly payment plan for your new iPhone Xs or Xs Max. If you have an old iPhone 4 sitting in a drawer somewhere, you can get $100 worth of credit for it, which is more than you’re likely to get selling it yourself. $300 isn’t a huge break compared to some of the other carrier deals. And it’s not a straight $300, either; it’s $300 worth of bill credit, applied to your 24-month purchase plan. So you just get up to $12.50 knocked off each monthly payment. Verizon has essentially the same deal as AT&T: Up to $700 off the price of a second iPhone (8 or newer) when you purchase one. You’ll have to add a new line to at least one of those phones, and then you’ll basically pay full price for both over 24 monthly installments, and receive a credit of up to $29.16 on each bill. It’s a big savings if you happen to meet all the conditions—Verizon customer, don’t mind 24 monthly installments, want to buy two iPhones, and will be adding a new line to at least one of them. That’s a lot of gotchas! You have to buy two phones, at least one of them needs a new line activation, you have to pay taxes up front on the full phone prices, and your big discount is only applied as monthly credits to your 24-month phone payment plan. It’s a deal designed to get you not just attached to Verizon for a couple years, but at least one new family member, too. That makes it ever more difficult to break away from the carrier if you find a better on service later. Следующая статьяЛучшие умные колонки: что обеспечивает лучшее сочетание цифрового помощника и звука?